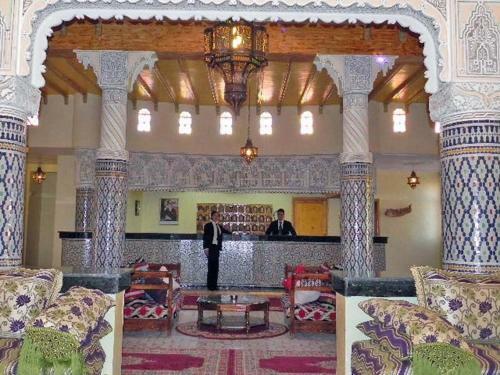 This hotel is set in Errachidia and is decorated in an authentic Moroccan style. Guests are free to relax under the arcades of the enclosed courtyard or on the sun terrace by the swimming pool. All air-conditioned rooms include a seating area.